1-800-Bollards lines of Removable Bollards are the most versatile and complete in the industry. Offering 7 different diameters and 3 different wall thicknesses, the combinations of removable bollard styles are endless. Padlock Removable Bollards: Padlock Removable Bollards are manufactured from either carbon steel available in 200+ powder coat colors or from stainless steel in either Type 304 or Type 316 for harsher environments. 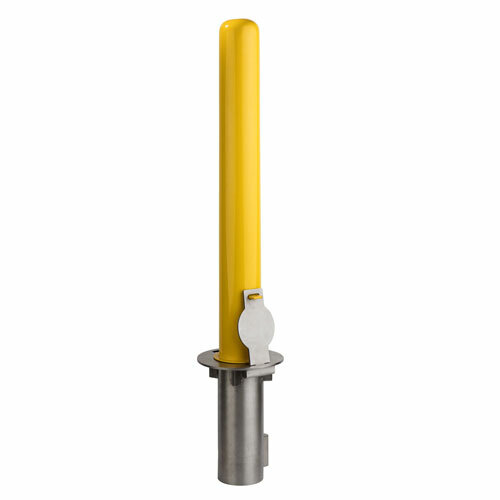 Internal Locking Removable Bollards: Internal Locking Removable Bollards actually lock underground, inside the embedment sleeve for virtually tamper-proof locking. The key is a Camlock that is placed waist high on the bollard for easy access. With a simple quarter turn, the bollard is released for easy removal. 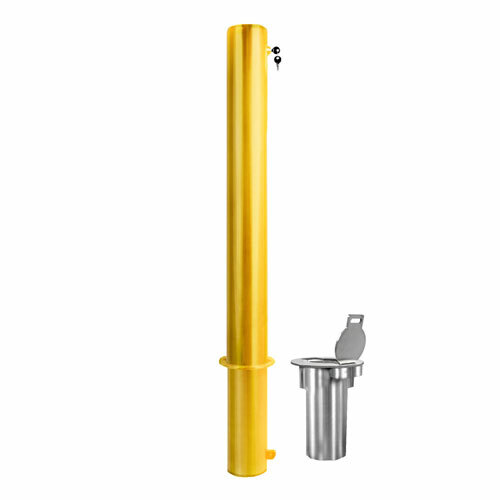 Internal Locking Removable Bollards are manufactured from either carbon steel available in 200+ powder coat colors or from stainless steel in either Type 304 or Type 316 for harsher environments. Choose from four different cap styles: Dome, Flat, Slope, or Reveal. 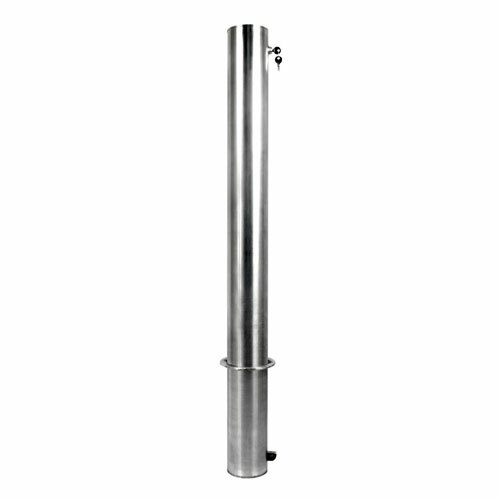 All embedment sleeves are manufactured from 100% stainless steel. 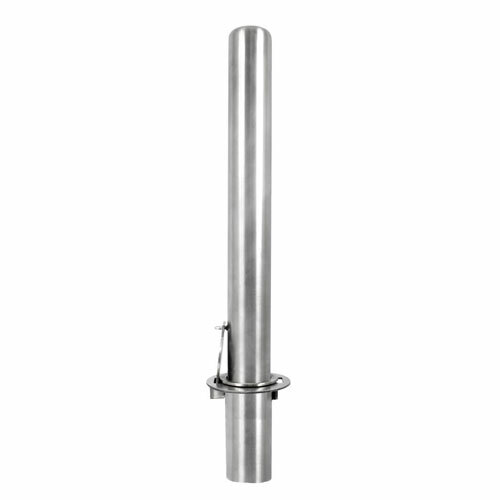 By manufacturing the embedment sleeve in stainless steel, the rusting that is associated with embedding steel in the ground where it can easily get scratched and wet is eliminated. We do not use galvanized embedment sleeves as they can easily rust when scratched by moving the bollard in and out of the embedment sleeve. The embedment sleeve has a lid attached that locks into place when the bollard is removed.